Current low oil prices, alongside increased costs of exploration, demand industry operators globally streamline operations – minimizing expenditure while driving maximum yield. While these circumstances are challenging at best, certain benefits have arisen from the dire market conditions of years past, which bode well for the future of the industry. 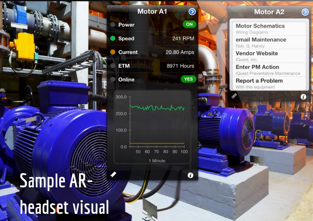 One such value is the increased reliance on AUGMENTED REALITY (AR) and VIRTUAL REALITY (VR) technologies for facility-operations. Virtual Reality technology-applications in Exploration and Production. (E&P) projects primarily save costs. 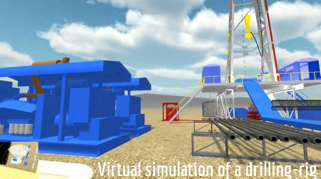 A virtual, 3-dimensional digital-simulation of an offshore work-environment – wherein personnel may be trained, on-site features detected and measured, and new equipment and planned drill-paths validated – allow for complete operations at a fraction of the cost and risk of executing them in reality.The virtual experience is completely immersive and mimics the real-life conditions very closely – if not entirely. Furthermore, 3D views may be rotated, panned and zoomed to explore spatial relationships from different angles. Sensory experiences (visual, auditory and haptic) are artificially recreated to allow users as close an experience to the real one as is possible. Augmented Reality vastly expands the limits to what an operator can accomplish on-ground. A virtual headset allows the operator to receive information about equipment or an environment as visuals, sounds, haptic-feedback and real-time contextual information; alongside actual visuals of the equipment/environment. Sensors are mounted on critical equipment, which transmit electronic feedback to cloud-based or local servers – on not only their performance, but their working conditions as well. This data-collection on equipment-performance and conditions is essential as future reference for diagnostics and risk-assessment. Furthermore virtual headsets are equipped with communication systems that allow operators to not only speak with professionals from office sites; but to also have said professionals provide visual data/input (charts, metrics, markings and diagrams) that assist operators with their appraisal of situations. This real-time collaboration, as well as the augmented visualization, implies shorter periods are spent resolving site-issues. Both VR and AR technologies cut Non-Productive Time (NPT) and costs across entire life-cycles of E&P projects; as well as mitigate on-site risk. Training offshore-personnel typically involves the repeated transportation of multiple individuals to frequently remote locations – with the attendant cost implications and risk. Work on a rig in almost entirely hands-on and practical, so theoretical training can only go so far. Virtual Reality offers a remarkable solution to the high costs of oil-facility personnel-training, by digitally replicating entire actual environments – physical conditions and all. Employees may train in complete safety within these virtual environments – because the risk is forestalled of untrained/insufficiently-trained workers unwittingly endangering themselves and others by their actions. Trainees may additionally practice multiple times in Virtual Reality, with much lower cost-implications. Operators are able to simulate the way rig-facilities would perform in a wide array of variable conditions and stress-situations beforehand – with VR technology. They can also simulate a drill-paths – replicating the site conditions precisely and testing the paths under various conditions and stressors to asses risk. AR technology allows greater risk-assessment of site equipment, with the enhanced feedback on equipment-conditions and the predictive-capability afforded by a combination of archived data and machine learning (the attached computing system can predict possible outcomes of current conditions from data previously collected from similar situations). VR provides the most efficient platform for multidisciplinary synergy on a single project, across different locations and in real-time. Each participant can fully visualize the project with a VR-headset, and may make/upload audiovisual input and appraise similar input of other team-members – reducing decision-making cycle-times and speeding up project-completions. Optimized maintenance-schedules can be developed from VR simulations of drill-paths that predict potential problem areas. With AR applications maintenance on a rig can be proactive, and not reactionary. The technology is predictive in terms of equipment-function, and avoiding unforeseen breakdowns in this manner allows operations to run at peak-efficiency with reduced downtimes. In addition, the ability of a site-engineer to communicate immediately with off-site professionals improves the appraisal of equipment performance and staves off malfunction. The benefit here is in rapid-prototyping of rig-structures and the ability to test these prototypes in multiple scenarios with Virtual Reality; avoiding the costly mistakes of physical attempts. New equipment-designs may also be similarly tested for compatibility. 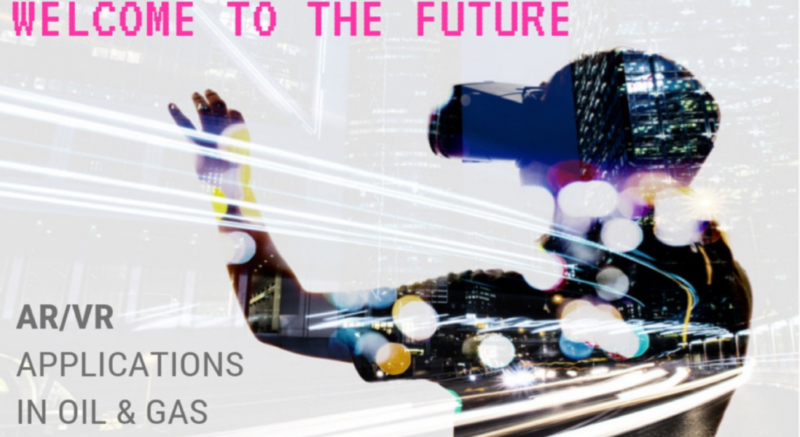 The meeting of AR/VR technologies with high-performance computing and high-bandwidth communication is enabling operators meets aggressive goals in the volatile oil and gas marketplace of today. AR and VR – once believed to hold no significant potential beyond the video-gaming industry – are now recognized as being an essential part of the wave of disrupters carrying the oil and gas industry into the future. With virtual-headsets becoming cheaper and the technology more affordable, any hopeful participant in this future would do well to catch that wave….and ride it.